If you haven’t heard of the Paleo Diet before, it is time to listen in because it is known as being the healthiest possible way of eating. As a result, the Paleo diet is quickly becoming the most popular way to eat and is taking over the health industry while also improving the lives of everyone who indulges in this positive life change. However, before proceeding, you must understand that although it is called, ‘the Paleo Diet’, it is much more of a lifestyle change than it is about anything else. While it does focus on the foods that you eat, or don’t eat rather, being Paleo is about improving your overall health, physically, mentally, and emotionally in order to provide a positive lifestyle altogether. Sounds like a miracle, doesn’t it? You’ll be amazed to find out the simplicity of the Paleo approach. You may have heard the Paleo diet being called the caveman diet. This is because it is based on the Paleolithic era, or in simpler terms, the caveman days. The diet (lifestyle) takes a blast to the past and forgets about all the poor food choices that are readily available to us in today’s era. It goes back to the good old’ days of eating foods that could only be hunted or gathered. Gone are the boxes of processed foods, junk, chemicals, preservatives and all unnatural food choices that have essentially damaged our health significantly over the years. Without the modern technology, you are eating nothing but real foods. Nuts, seeds and healthy oils – all foods that can be hunted and gathered. Junk food and all the bad stuff that basically lines the aisles in our grocery stores. One of the biggest factors I enjoy about this type of diet is that its emphasis on the quality of foods. Therefore, you want to stay away from factory farmed animals. So, regardless of the fact that eggs, fruits, vegetables and lean meat are absolutely Paleo friendly, you want to opt for the most organic, natural and chemical-free versions of them. There is so much you can do with the Paleo Diet because of the wide array of food. The main benefit of the Paleo diet is, of course, your health. However, it isn’t just about your physical health. 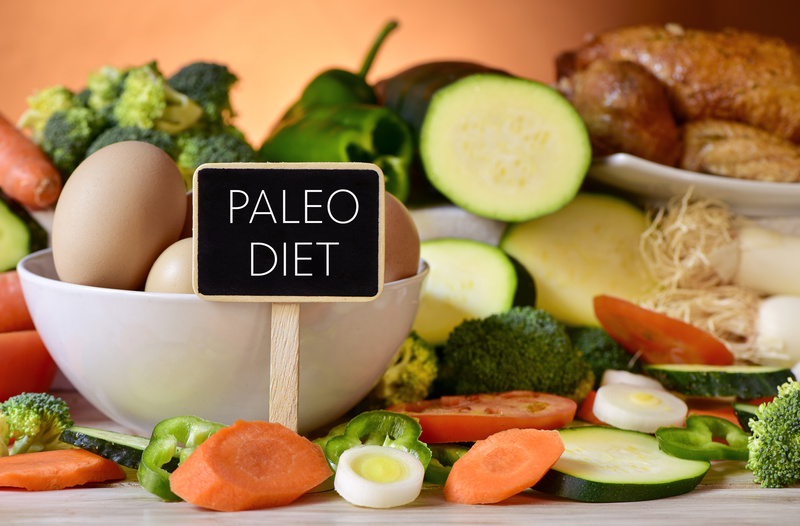 The benefits of the Paleo diet are well rounded and thorough and extend from the physical elements, well into your mental and emotional health as well. Since a variety of illnesses and diseases have been linked to the modern diet, eating specifically to the Paleo Diet immediately decreases your risks of all unhealthy elements. In addition, you are receiving the epitome of health that will essentially allow you to receive your peak of health and fitness potential. Like anything, there is always some good with the bad. The majority of concerns with the Paleo diet are easily debunked as you learn more about the foods that you are eating, avoiding and so and so forth. For example, there is a lack of dairy (calcium) concern. However, the majority of milk products today are tainted with innovative technology which takes away the nutritional values, and they often provide more harm than health. Another concern is whether or not the Paleo diet is children-friendly. While some solutions cause for adjustments, the majority of concerns are immediately overtaken by the abundance of health and nutritional benefits that you receive from this lifestyle choice. That’s the caveman way of eating. Although complex and full of endless health benefits, the Paleo diet is completely simple – eating nothing but real foods. It’s just as delicious as it is nutritious, and with the modern diet today, it has been a long time since the majority of us have been able to say that about our diet. The possibilities and recipes are endless. Now before I sign off I just have to say in good faith that my personal way of eating is Paleo, but just because it works for me doesn’t mean it’s right for you. I’ve never been a fan of just adopting any diet that becomes popular just because. I’m a firm believer in doing the research and making a logical, informed decision. The paleo diet may be perfect for you, but it also might not be. Another diet could work better for your lifestyle and needs. So just always keep in mind that it’s not about finding the perfect diet. It’s about finding the perfect diet for you! Hopefully, you enjoyed this post on the Paleo Diet and if so I’ll do more post related to it in the future.